Bluetooth 5.0 is the newest version of the wireless short-range interconnection of Bluetooth enabled devices like phones, computer, Bluetooth headsets, and speakers etc. 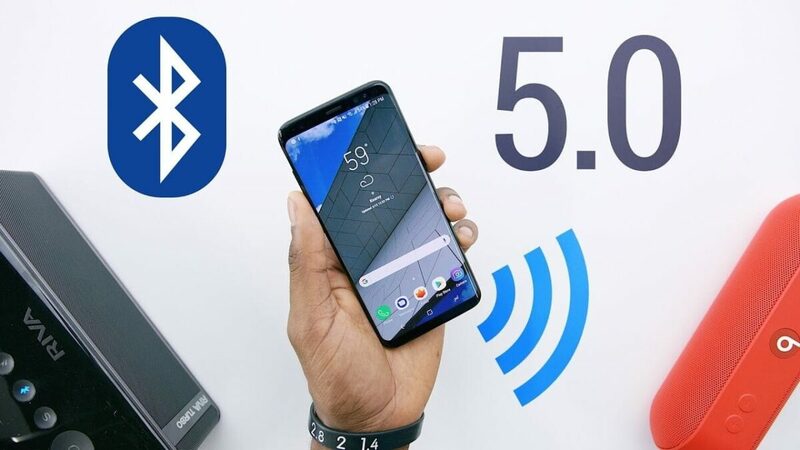 Bluetooth 5.0 is a major upgrade from the former Bluetooth 4.2 and unlike the upgrade from Bluetooth 4.1 to 4.2, this upgrade brings along lots of new features. If you’re using any Smartphone that was made in the 2016 or later (Samsung Galaxy S9, Note 8 etc) then chances are, your phone has Bluetooth 5.0. 2016 and earlier smartphones come with Bluetooth 4.2 or 4.1. We will be taking our time here to break down the new features contained in this upgrade from Bluetooth 4.2 to 5.0. If you’re worried about getting a smartphone with Bluetooth 5.0 because it won’t connect to other Bluetooth 4.2 devices then you shouldn’t be. This is because Bluetooth 5.0 is backward Compatible meaning you can connect it to a Bluetooth 4.2, 4.1 or any earlier Bluetooth version. So you can go ahead and get that device with Bluetooth 5.0 and it’ll still work with your Bluetooth headset, speaker etc with Bluetooth 4.2 or 4.1. One of the most notable improvements from the Bluetooth 4.2 to 5.0 is that fact you get to transfer data and audio at a faster speed. According to Bluetooth SIG (The company that owns the Bluetooth Technology), they said Bluetooth 5.0 is twice as fast with a transfer speed of up to 2Mbps compared to Bluetooth 4.2 transfer speeds of about 1Mbps. The range was also improved, Bluetooth 5.0 can communicate with other Bluetooth enabled device over a distance of up to 800 feet (about 240 meters). This is four times the distance allowed on Bluetooth 4.2 – 200 feet (about 60 meters). Note: Walls weaken any Bluetooth signal, so the more the walls between two communicating Bluetooth devices, the less the distance it would require to work. Bluetooth Low Energy was specifically designed to lower the power consumption of Bluetooth peripherals. This technology was first introduced in Bluetooth 4.0, also available in Bluetooth 4.1 and 4.2. On Bluetooth 5.0, it has been improved and now supports many more Bluetooth enabled devices than before. This means a long-lasting battery for both your Smartphone and the other Bluetooth device you’re Connected/Connecting to. However, for this to be possible, both devices have to have Bluetooth 5.0. On former Bluetooth versions, you could play audio from your phone to a single Bluetooth speaker or headset. Now, Thanks to Bluetooth 5.0, you can play the audio to two different Bluetooth speaker or headset at once. You can also play two different audio to two different Bluetooth speaker or headset from a single Phone. This feature has been dubbed dual Audio on the Samsung Galaxy S8 which you might have come across if you use the device or any other newer Samsung Galaxy device. This is achievable thanks to the Bluetooth 5.0 on board. The New Bluetooth 5.0 is pretty new and most Phone makers have quickly adopted the feature in most of their flagship and some of the mid-range devices. However, most budget devices still ship with Bluetooth 4.2. Currently, there are very few Bluetooth enabled devices like headsets, speakers, laptops etc that have adopted the feature and Chances are, most of the Bluetooth devices you have are still on 4.2 or 4.1. Nonetheless, your Next smartphone should have Bluetooth 5.0 as it was built with IoT (Internet Of Things) in mind which is undoubtedly the future. 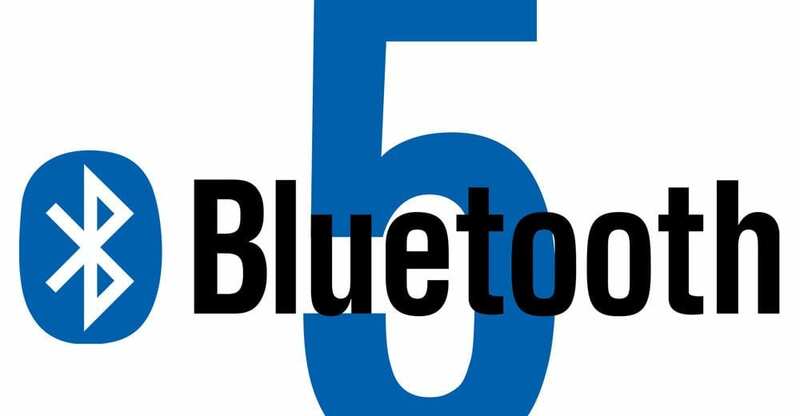 Bluetooth 5.0 which usually used to be a flagship exclusive has somehow found its way to the mid-range and hopefully, budget phones sometime in the future as well other devices like speakers, headset and IoT devices. The above are just the major improvements and new features of the Bluetooth 5.0. if you’re interested in the core specifications and nitty-gritty behind the Bluetooth 5.0 you can head to the Bluetooth Website and Request for a copy of the comprehensive overview of the new Bluetooth version.